The Irvin Apartments are located at 823 West Oakland Avenue and 810 West Jackson Street. The Irvin apartments serve as the home for the Congregate Housing Service Program (CHSP) and house senior and disabled individuals. 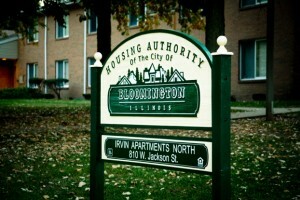 Handicapped apartments are available at this location and apartments consist of 24 one-bedroom and 2 two-bedroom units.